“You will learn how to build IoT devices using highly efficient and power saving radio technology. 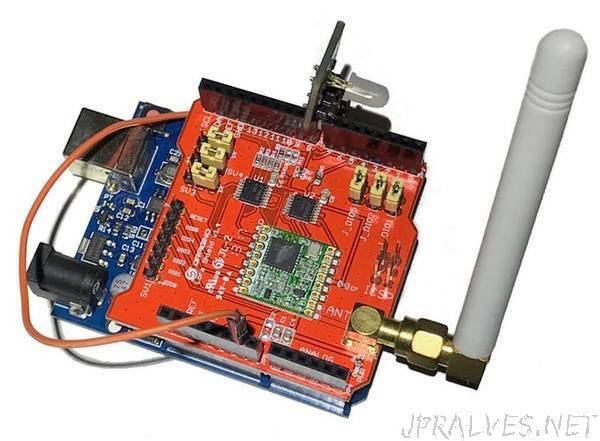 LoRa is a chirp spread spectrum (CSS) radio modulation technology which allows transmitting data over long distances with low power consumption. This technology is a perfect fit for communication with simple sensors across a local area like an industrial or agricultural zone. Low power consumption allows building battery-powered devices, which can operate for months or even years using a single battery. Therefore, such devices can be installed without any infrastructure, i.e. totally wirelessly. Of course, in some cases, it might be sufficient to set up communication solely between devices. However for the majority of situations, a real IoT platform is required to manage devices and to store and analyze data. Communication between such devices requires an IoT gateway which are also called “edge devices”. Such gateways receive data from a wired or wireless protocol and sends data to an IoT cloud service where the real magic with data is happening.